This was my first outfit of the day with a lovely summery glow to my skin! Thank you SUN you beauttyyyyy! I wore my floral print burn out t-shirt, which is an oldie from Topshop but there are a few similar designs of this top still lurking around. This is definitely one of my favourite pieces as it's super laid back yet because of the patterning looks very girly and has it's own special quirk that requires minimal accessorizing. 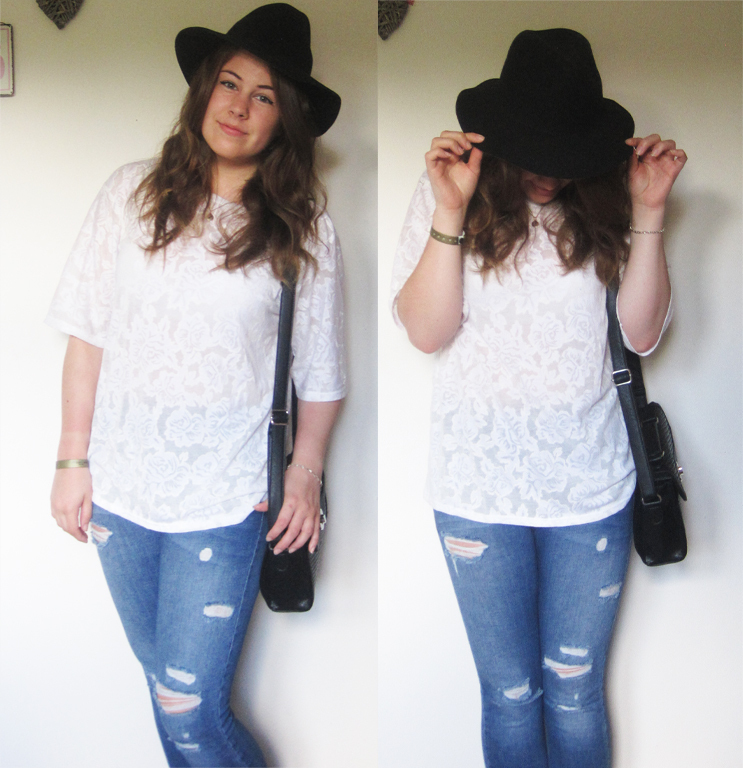 I then paired up my ripped and distressed style jeans again from Topshop that are becoming my ultimate favourites. They're incredibly soft material wise and the rips just give you an instant urban/rock feel to your outfit when paired with the simplest camisole or jumper! I thought I'd try something different and wear my black cowboy hat as I barely wear it to be honest yet it's such a great accessory piece. I NEED TO WEAR SOME MORE HEAD GEAR! !